Welcome to our lovely new website which launched last Friday the 5th March 2016. We are so excited about it and very proud – we really hope you like it as much as we do! In a matter of days, we have received so many positive comments about it and it has already started to generate interest and bookings. Please feel free to make any comments about the website at the end of this news post and you can also easily share this page on Facebook and Twitter. 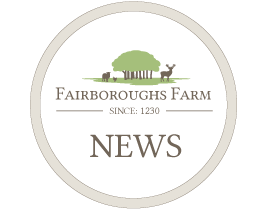 Our aim is to keep you up to date with things going on down at the farm along with local news, activities and events too! We will also be delving in to the history of Fairboroughs and sharing that with you. It has the most interesting history. In the months to come, we will let you know of lots of ‘farmy’ things such as when lambing begins and how we are getting on; when the bluebells are in bloom; when it’s the best time to see the deer; and when we harvest at Fairboroughs Farm. If we have any special offers or packages available we will be posting them on here so be sure to keep checking back! We hope you enjoy our website and following what we are all up to , exciting times ahead! 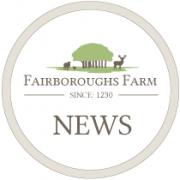 https://www.fairboroughs-farm.co.uk/wp-content/uploads/2016/02/fairboroughs-news.png 210 266 Diane Lowe https://www.fairboroughs-farm.co.uk/wp-content/uploads/2015/11/fairboroughs-farm-logo4.png Diane Lowe2016-02-10 09:58:442016-02-10 14:06:53Our New Website Has Launched!